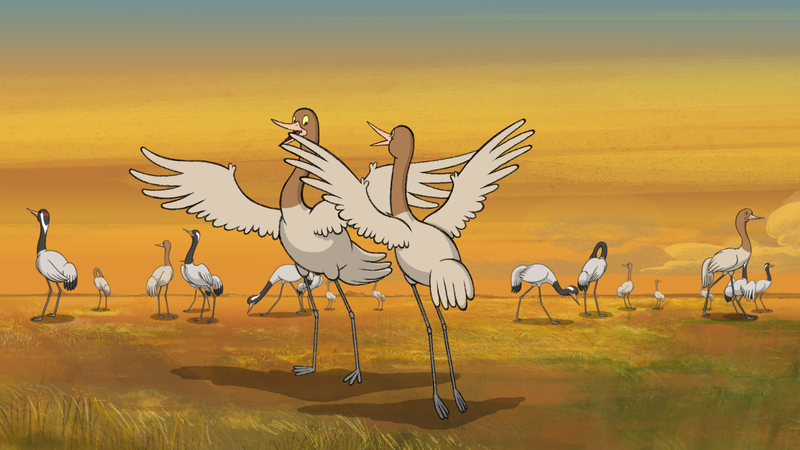 In this delightful animated film, the Crane family is moving. Their destination is the Hortobágy plain, a colorful island habitat full of life. Their little boy, however, knows nothing of the new world in which he finds himself. He sets out to discover his new home, and as he wanders, he meets an array of witty, interesting creatures, including one who becomes a close friend. Lugosi studied graphic design at Jaschik Álmos art school, then spent a semester at Illyés Art Academy, studying animation. In 2016, he received his diploma in animation at MOME, Budapest, and currently is a director of a short movie at the Kecskemétfilm Studio.